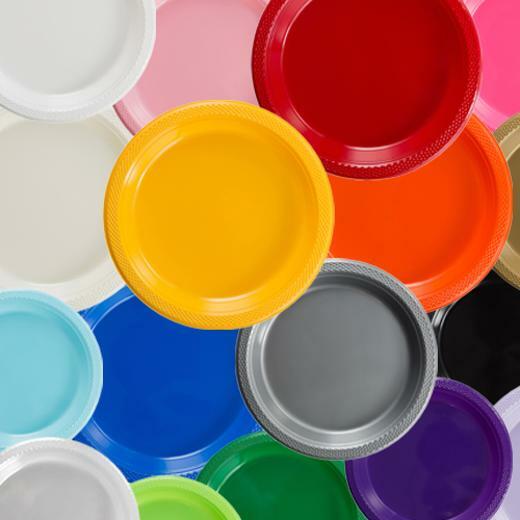 Our collection of disposable, high quality plastic plates are available in two sizes - 7 in. and 9 in. The 9 in. plates are best suited for lunch and dinner while the 7 in. plates are best suited for desserts. Light weight and durable, all of our plates are made of premium, food grade plastic. Great for birthday parties, graduation parties, and much more!